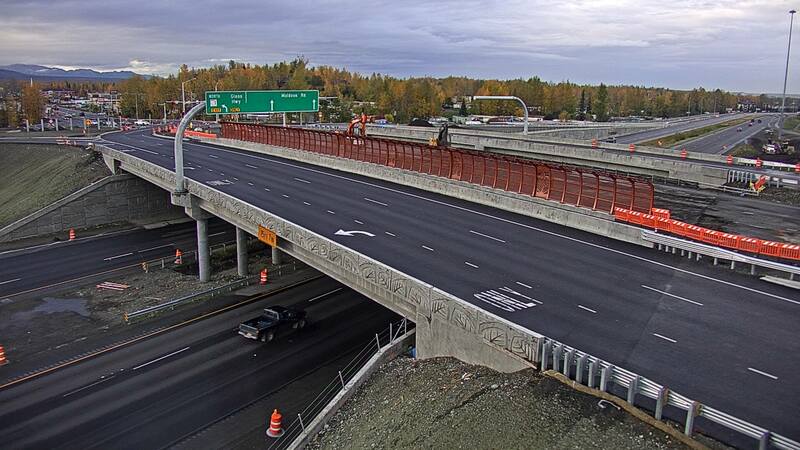 Glenn Highway and Muldoon Road Interchange Improvements | Engineering Design & Consulting, Inc.
EDC provided electrical engineering design for highway, interchange, pedestrian tunnel, and decorative lighting . Upgrades included relocation of existing high tower lighting, relocation of lighting along Glenn Highway, new lighting on Muldoon Road north and south of the interchange, pedestrian tunnel illumination, and new load centers to support the lighting and traffic improvements. The project also featured decorative LED lighting for the pedestrian pathway, bridge, and markers.